**I had already prepared the Eggplant. Peeling and slicing it, salting and placing between paper towels for a day. Cooked it quickly in a little olive oil on the stove and stored in Tupperware. I’m the only one who eats it, so now it’s ready to go! 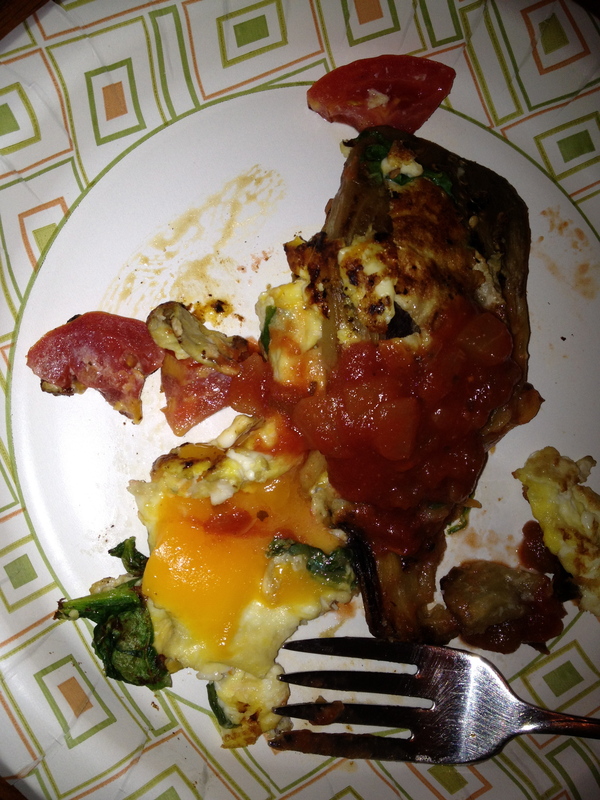 Scrambled the egg, added tomato and spinach, warmed up the eggplant all in one pan, threw the cheese on top until melted and made an eggplant/egg sandwich. I’ve got to tell you, that baby had some staying power and I was feeling all kinds of healthy, too! An option for the not so healthy set..but completely delicious! Mix and knead, shape and bake @ 375 for about 15 minutes or until done. 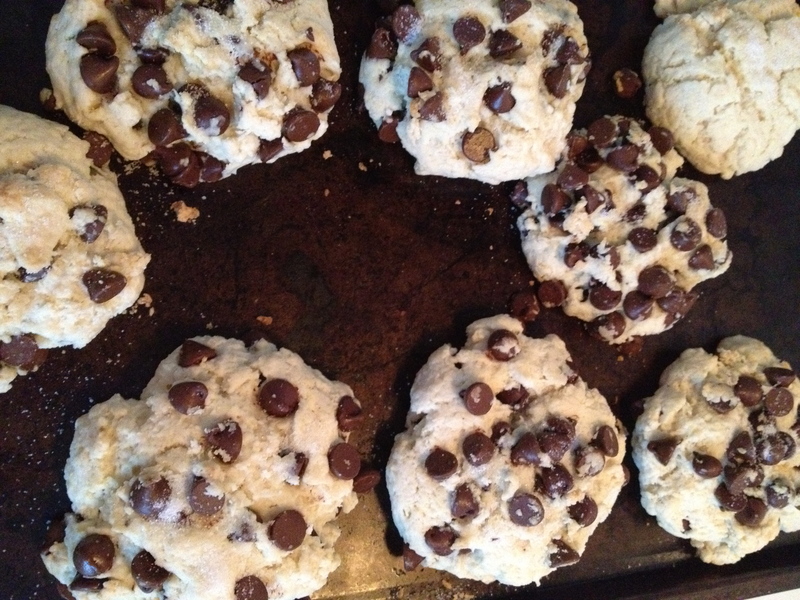 **I’m NOT a good or patient scone shaper…I ball up the dough and squash it into a thick circle…voila! scone. No one complains. Notice the lone plain soldier in the upper right corner.